It's so important to find top nutritional supplements information and facts about vitamins. 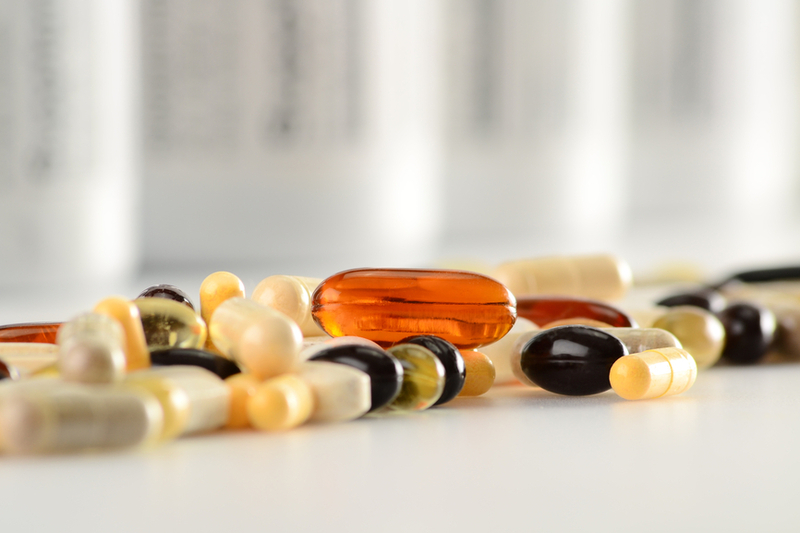 There are so many different vitamin supplements online, if you want to buy dietary supplements how do you know what you need and which ones are best? I am here to give you as much information about the best diet supplements as possible. As a Naturopath I continually stay informed about all the latest research, dietary supplements risks and benefits. I believe that the best diet supplements can be used short term and will provide lasting results. They are a means to an end to support the body in the healing process. There is no need to suffer with symptoms, pain, discomfort, imbalance and illness when often there are natural nutritional supplements that can help! Each cell, organ, gland and every part of your body needs specific elements to perform it's necessary tasks. When there is a lack of biochemical substances, ie, vitamins, minerals or nutrients, the cells or organs become damaged and do not function up to par. As long as you nourish your body with all the right nutrients it will function optimally and keep on regenerating itself indefinitely. Unfortunately, it is impossible to get all the nutrients our body needs from our diet. Vitamins and minerals are used in every biochemical reaction in your body. They are used for breathing, to transport nutrients, to nourish your cells, to produce energy etc. They are essential for all of your tissues, organs, your brain, the senses and more. Achieving optimal health is all about providing your cells with the nutrients they need while ensuring you remove harmful toxic materials, so the cells can thrive. Each of your body systems works towards this goal. Have you ever considered whether your diet provides you with all the nutrients you need? Most of us are lacking and find it hard to get the 7 to 10 recommended daily servings of vegetables. Supplementing is like nutritional insurance. It is just as important as eating the right foods. Today people all over the world are more interested in their health and well being. Many are disillusioned with the "health care" system which would be better named a "disease care" system. They are taking their health into their own hands, going back to the basics, getting turned off of or becoming ill by the damaging side effects of medication. A good supplement company will provide you all nutritional supplements information you need. How to choose a supplement company? When I began studying to be a Naturopath I spent years researching all the dietary supplements manufacturers, until I found a company I could trust for myself and my clients. How long has the company been in business. 10 years or preferably longer is better. Ask what their quality control measures are. How do they determine the identity, purity and potency of the herbs that they sell and can they guarantee that? Can they guarantee their products to be free of contaminants including heavy metals, lead, mercury, pesticides and cadmium, to name a few. How many different analytical tests do they use to assure that their supplements are of the highest quality? How many trained research and development staff including Pharmacists and Ph.D.s do they have on hand? The company whose products I use for myself and my clients have been in business since 1972 and cover all these rigorous requirements and many more. Feel free to contact me to find out how you can buy the best quality discount vitamins and supplements at 40% off of the retail price. Chlorophyll Health Benefits There are so many benefits to taking chlorophyll. Years ago I tested my pH and found out that my body was very overly acidic. I used chlorophyll supplements to help reduce the over-acidity in my body. Chlorophyll is the green pigment found in most vegetables that provides us with a means to harness the sun's energy! Colloidal silver is used in wounds in hospitals to prevent infection. There are books about all of the uses of colloidal silver, but it is known as a safe and natural antibiotic that doe snot have all of the negative effects that antibiotics have. Did you know that the stomach produces hydrochloric acid to digest food. At age 30 the production of HCl peaks. After that there is a steady decline until, at age 60 we produce only 1/4 of the hydrochloric acid we used to. Digestive enzymes are necessary! In looking for the best fish oil supplement, check the company, it's integrity and the source of ingredients. Omega 3 fish oil capsules should contain fish from anchovies, mackerel and sardines. These smaller fish are not contaminated. Bigger fish are high in mercury which means that your supplement will be high in mercury and other heavy metals. Ginger Supplements are a perfect alternative to aspirin, Tylenol or other painkillers. The list of benefits of ginger root is extensive. Learn all of the ginger health benefits. If you are wondering about the benefits of taking fish oil supplements you can get the low down here. Fish oil for weight loss, arthritis, joint pain, heart health as well as omega 3 deficiency symptoms. Omega 3 rich foods are not easy to find. Good sources of omega 3 include fish and sea food, but good vegan omega 3 sources are rare. All the facts and a complete chart of foods that contain omega 3. What is omega 3 and how does it differ from omega 6? Find everything you need to know about essential fatty acids here and how the important factor of omega 3 vs omega 6 is getting them in the right ratio. Perhaps the most fascinating aspect of the gastrointestinal tract is the friendly bacteria it employs to maximize the nutritional benefits of the food you eat. When you do that you feel more satisfied and full. There are many natural supplements for weight loss that can help you to lose weight! They will support your body's natural process of losing weight by helping you where you need it most. Determine what vitamin and mineral deficiencies might be causing you depression. What are the best herbs for depression. Bach Flower remedies and aromatherapy for depression.